The community of researchers interested in studying rice as a model genetic/crop system is growing rapidly, thanks to the large investments in rice genome sequencing and functional genomics made by US funding agencies and the international community over the last decade. 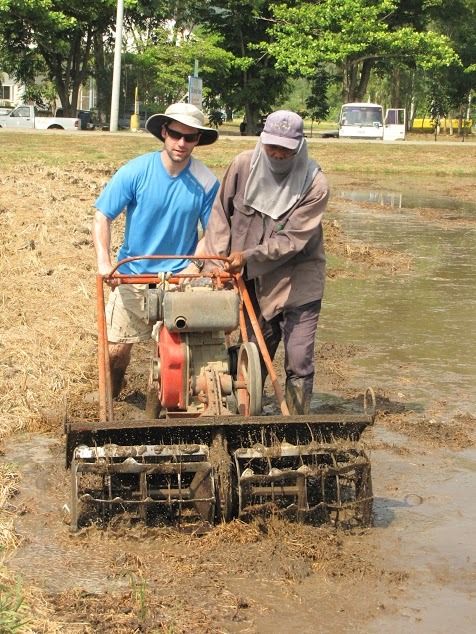 However, many young scientists who would like to work on rice, particularly those from the US and Europe, have little or no familiarity with the organism, find it difficult to grow and are disconnected from the large, international community of rice scientists who understand the significance of rice in its biological, social, economic and cultural context. We propose to address this problem by helping to bridge these communities. Our objective is to help create a new generation of rice researchers by encouraging them to develop a feeling for the organism, a connection to the international community, a global vision of science and to understand the value of innovation in outreach, education and public service. 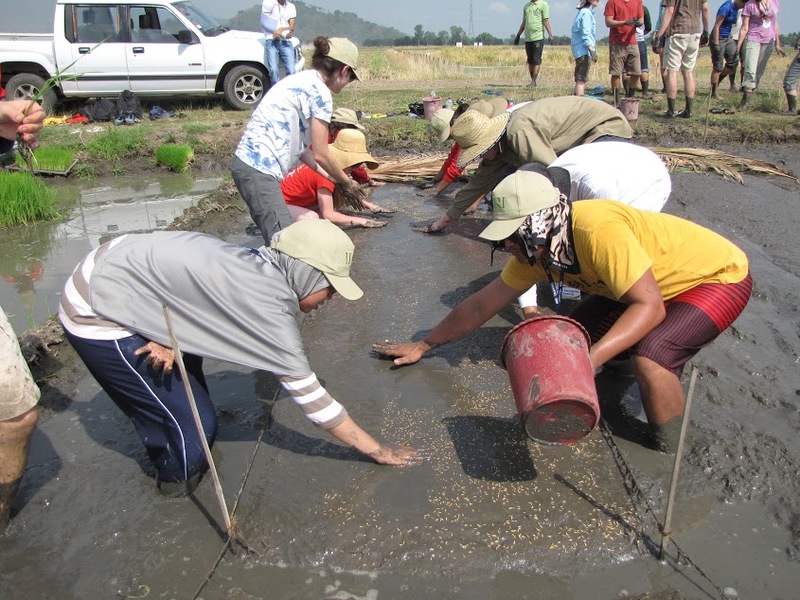 Rice: research to production is a short (3 week), intensive course that represents the first step in establishing a student-oriented, training and shuttle research program between US universities and the International Rice Research Institute (IRRI) in the Philippines. It will be offered every year at IRRI and aims to give participants the opportunity to become familiar with rice production in its center of diversity and to understand how it fits into the social and economic context of Asia. The program aims to capitalize on the growing level of interest in rice as a genetic/crop model. Much of the interest in the US is a direct result of the investments and policies of the PGRP (Plant Genome Research Program) that emphasized public availability of data, international collaboration among scientists and relevance of research problems, particularly in relation to agriculture and the genomics of crop plants. Through participation in such a course, we seek to alert students and young professionals to the emerging opportunities to bring together genomics-based plant science, outreach and education, and public service as an attractive career agenda. The long-term objective of this Developing Country Collaboration is to create an education partnership that will mobilize a large pool of young talent to contribute to global agricultural research and development. significantly broaden participants' horizons and develop a greater awareness by exposing them to agricultural, social, and environmental issues, solutions, career opportunities, and people outside their current disciplinary background. Rice: research to production is a 3 week course that will start with an overview of all aspects of rice science and rice production. The course will include elements from IRRI's classic two-week "Rice Production Course" that was offered for many years during the 1970-80's. Participants will have hands-on experiences in paddy preparation, transplanting of young rice seedlings, weeding, measuring growth and development, harvesting and threshing, with opportunities to handle farm machinery and carabao. The course content will be enhanced by workshops dealing with the germplasm collection, the seed health unit, the grain quality laboratory and various other research units in crop, soil & water sciences, plant pathology & entomology, and bioinformatics. 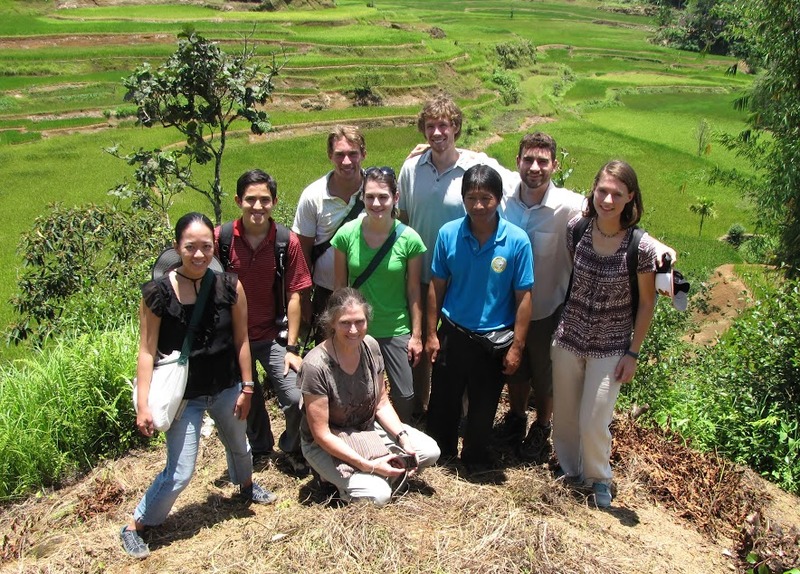 Visits to rice mills and small-scale commercial rice production farms will expose participants to real life rice production in the tropical Philippines.